ADP has had a terrific year so far, and as always, with success comes the welcomed responsibility of caring for others. 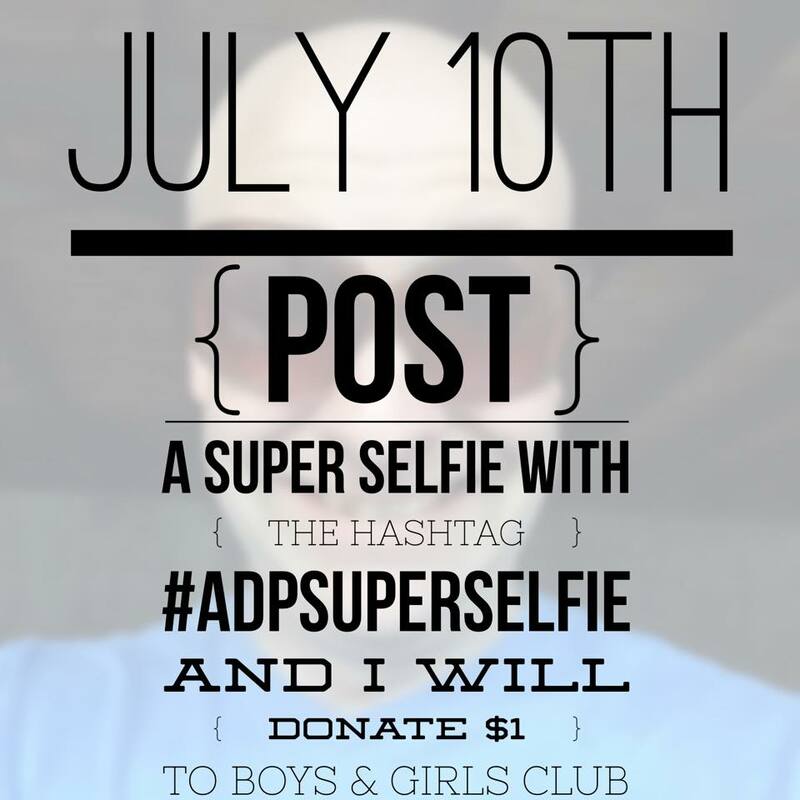 You can help me do this by entering my Super Selfie Contest. It’s super easy. 1) Take a selfie this Friday. It can be of you, or a group… or whatever! Make it fun and unique, or funny, or epic, whatever… the best entry will win $50! 3) Cross your fingers, as the best selfie will win the $50 prize… and more importantly, feel good that you did your part to help inner city youth. This doesn’t cost you anything, so it’s a win win! Please share this, I would LOVE to reach my $300 goal! Let’s get this thing rolling peeps!